With the camp sites nearby, Biscarosse has become a popular area for Irish people going on holiday to France in the summer. A town of about 12,000 souls located between Lake Biscarosse to the south and the Petit Etang de Biscarosse to the north. Before WWII, Lake Biscarosse was the site of France’s fledgling aeronautics industry, with the emphasis on flying boats. Biscarosse’s other curious claim to fame is that it had the world’s oldest elm tree. It survived 650 years before sadly but inevitably succumbing to Dutch Elm Disease in 2010. 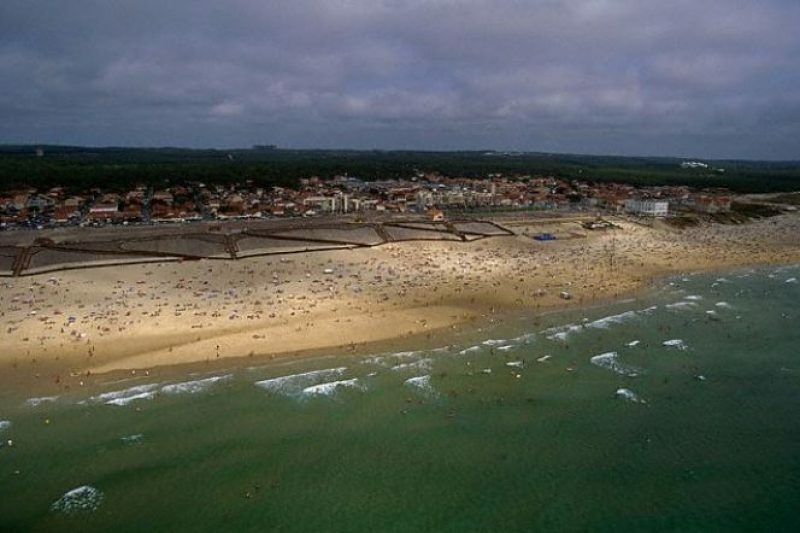 Biscarosse has spawned a beach version – Biscarosse Plage – which is about 10km from Biscarosse itself. Between the two, there are plenty of markets throughout the year, with a far higher concentration of vendors during the summer months. In the town itself, there are two public markets: The Friday market takes place all year round from 08:00 to 13:00 on the Place du Marché. Every Sunday morning, there’s a market form 08:00 to 13:00 on Avenue Georges Clémenceau. In Biscarosse Plage, there is one market that takes place all year round every Saturday from 08:00 to 13:00 at the Place Dufau. With the influx of customers in the summer, there’s a proliferation of bazaars: The night-time market is a pleasure not to be missed if you’re on holiday in France here. It’s on Place Dufau again from 20:00 until midnight during the months of July and August. And, if you’re still in the mood for markets, you’ll be glad to know that there’s another one in the same location in the morning throughout July and August from 08:00 to 13:00 selling less trinkets and more in the line of fruit, veg and clothing.